You are here: Home › ALL BLOGS › Lawmakers impeach Imo Deputy Governor, Prince Eze Madumere. ← Okorocha places N20m reward for information on killers of slain APC Chieftain. Lawmakers impeach Imo Deputy Governor, Prince Eze Madumere. Imo Deputy Governor, Prince Eze Madumere has been impeached. The exercise was carried out by 19 out of the 27 lawmakers of the Imo State House of Assembly. It will be recalled that there was an indictment by a report of a seven man panel constituted by the Imo State Chief Judge to investigate the allegations of gross misconduct. 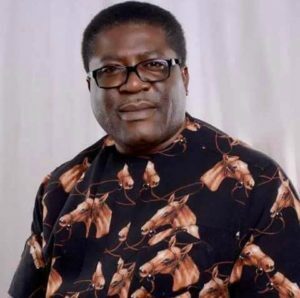 Madumere’s impeachment comes six years after Sir Jude Agbaso who ran on the first ticket with Governor Rochas Okorocha was removed from office. 5 Responses to "Lawmakers impeach Imo Deputy Governor, Prince Eze Madumere." all tired of Nigerian news more especially IMO news. the impeachment was easy on deputy, y was it not easy on Rochas. lawmakers on skirt. Rochas has never done any wrong his government all he does is good.